They say an elephant never forgets. Your memory may not be quite as impressive, but we guarantee this golden planter is something that’ll be remembered forever. 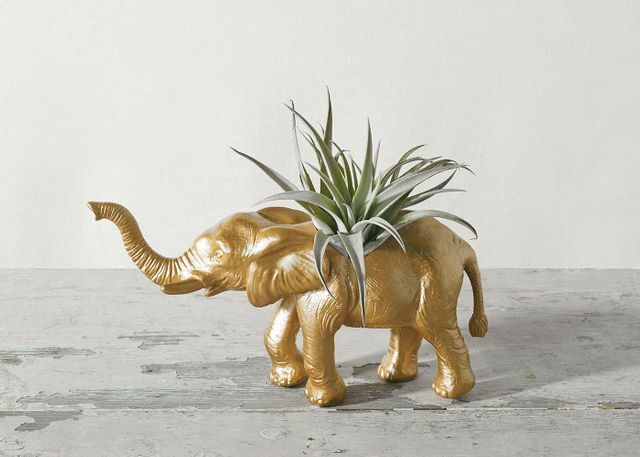 2"-6" Air Plant in 5" x 10.5" golden plastic elephant. Total height: 9"-11"